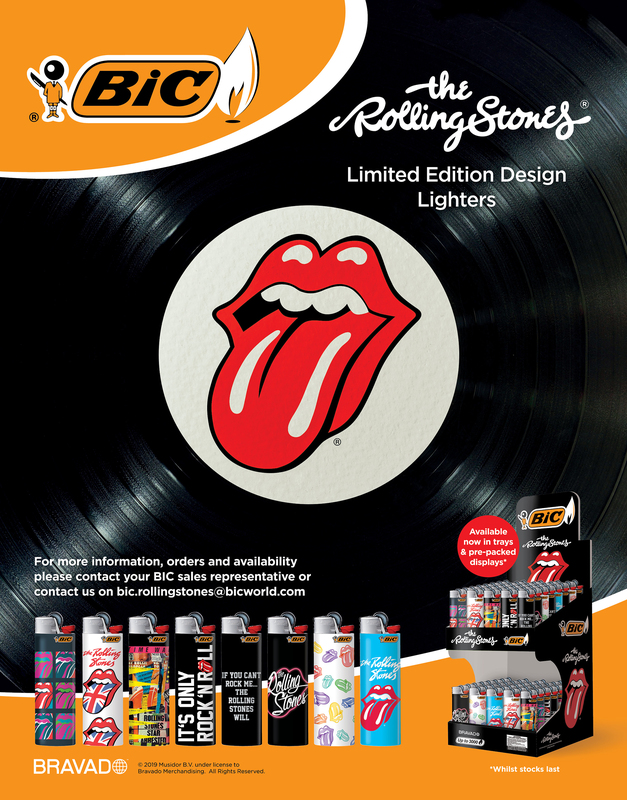 BIC and Rolling Stones have come together to create an exciting new range of limited edition design lighters highlighting the truly distinctive and recognisable designs of a band that’s been rocking the airwaves for over 5 decades! These lighters are available for a short time only and come in either free 2 tier pre-packed displays with x100 lighters (x2 trays of 50) or as individual trays*. Don’t miss your opportunity to get involved with this series and chance to offer customers and Stones fans a genuine collectible!